Among the presenters at The First International Conference on Human Behaviour Change for Animal Welfare held in Dorking, Surrey, UK from September 19-21st was IPFD’s Dr. Brenda Bonnett. Dog-ED gets a mention. Thank you! Brachycephalics: Making the move from data to improvement? It’s been interesting following the information emerging from the various discussions on brachycephalic breeds. We’ve heard from vets calling for action to address the health issues, including via online petitions. The Kennel Club in Norway has set out its proposals for improvement and our own KC has convened a working group. There’s also the CRUFFA campaign to discourage the use of images of flat-faced animals in advertising and the media. All this follows on from the RVC’s “Building better Brachycephalics” day in 2013. If you’ve not seen them, it’s well worth heading to vet Pete Wedderburn’s Facebook page to watch the videos he live-streamed of the various (excellent) presentations made at the first meeting chaired by Steve Dean at Clarges Street. From comments in one of the videos, it appears that it came as a surprise to some attendees that the meeting was being live-streamed by Pete. The presentations made by the scientists clearly summarised the evidence for the breadth and scale of the health problems facing brachycephalic breeds, both at individual dog level and at population level. The evidence is indisputable and the work done by David Sargan and his colleagues at Cambridge University means there are now practical ways to measure and score the health impacts in individual dogs. The focus of that first meeting was very much on data and “the science”, with less of a discussion of the factors that have (a) led breeders to produce health-compromised dogs or (b) caused such a massive increase in demand from the puppy-buying public. The demand issue is clearly an area of focus for the CRUFFA campaign. There was a second meeting at the KC at the end of July, but I believe Pete wasn’t present, so there are no videos to watch. In addition to the scientists, these KC meetings have included Breed Health Coordinators such as Penny Rankine-Parsons (FBs) and Vicky Collins-Nattrass (Bulldogs), both of whom have been incredibly proactive in their breed health improvement work. At the end of the first meeting, participants were asked to go away and draw up an A4 page of actions they felt could/should be taken. Apparently, they were asked not to put “change the Breed Standards” at the top of their lists. Pinning the blame, and focusing the actions, on the KC and show communities is far too narrow a perspective if we want to improve the health of these dogs. Overall, the good news is the brachycephalic problem is moving into solution mode. What interests me is how this will be managed as a Change Programme. Doing the data analysis and the science may be complicated but there are some world-class people working on these aspects. However, making change happen is complex (rather than complicated) and, the knowledge and skills needed are totally different, particularly when it comes to changing buying behaviours in the wider population. I deliberately used the words “complicated” and “complex”. It is important to understand the difference between “complicated” and “complex” situations. The complicated context calls for investigating several options where there may be multiple “right answers” and is the domain of subject matter experts, like the scientists working on brachycephalic health. One of the dangers is that innovative suggestions made by non-experts may be overlooked, or dismissed. The voices of the Breed Health Coordinators with their wealth of practical experience need to be heard. Another risk in complicated situations is “analysis paralysis”; the tendency to keep searching for the perfect set of data, or the perfect answer to a problem, which means that very little gets implemented. Decision-making in complicated situations can take lots of time and there’s always a trade-off between finding the “right answer” and simply making a decision in order to make some progress. There are bound to be many competing ideas and what will work is likely to emerge from a range of innovative approaches. There are lots of different people who have to be engaged and whose behaviours have to change. We shouldn’t underestimate the challenge of reaching and influencing the large number of breeders outside the KC/Breed Club communities. There will be a need to encourage dissent and diversity of ideas, as well as a willingness to “just try stuff” and see what works. That’s probably going to be uncomfortable for some people, particularly if they prefer working in a world of “right answers”, predictability and hierarchical decision-making. We need to stop reacting to individual reports and look at the whole picture. Somebody needs to be joining the dots, otherwise we just add to the doom and gloom feeding frenzy in the press. What is the strategy for change with brachycephalics? Will it be exploratory and agile, or will it be a “big bang” launch and roll-out of a “package” of solutions? If it’s the former, then it would be perfectly valid to implement a change to a Breed Standard and see what happens. It’s a simple decision to make and it will either make an impact on its own, or not! The trouble with that one, simple decision, is that we know it will not be enough on its own. But, it could be implemented quickly and could be seen as part of what Dave Brailsford, the Team GB Cycling Director, called the concept of marginal gains. Brailsford believed that if it was possible to make a 1% improvement in a whole host of areas, the cumulative gains would end up being hugely significant. The successes of Team GB and later Team Sky clearly demonstrate the power of this approach. There were already a few ideas being touted around on social media before the second meeting hosted by the KC. Each of these has a cost and a potential value (or impact), so their relative merits need to be evaluated. The speed with which they could be implemented also needs to be agreed. Here’s my view of what a cost-value map might look like for a few of the ideas I read about. Green ideas could probably be implemented quickly, Orange ones would take longer and Red ones would be much longer-term. The good thing is that the ideas cover both the supply side and demand side of the problem. They also contain a mixture of small changes and big changes. “Change the Breed Standards” is a small change, whereas “Educate the public” is a big change. The latter cannot actually be implemented; it needs to be broken down into doable activities like “run a series of campaigns on TV”, “get celebrity owners to talk about their pets’ health issues”, or “produce posters to display in all vets’ waiting rooms”. What struck me about the lists of ideas I saw was just how few ideas there were. That’s possibly just a reflection of the mix of big and small ideas. Linus Pauling, the American scientist said “the best way to have a good idea, is to have lots of them”. There are certainly plenty of keyboard warriors willing to share their views online; how about building that into the solution-generation stage of the Brachycephalic improvement programme? Maybe there’s an opportunity to “crowdsource” more ideas. Just a thought! The following article is reprinted with permission from Dog World (published 14/5/15). MANY, if not most, canine health and welfare problems are linked to people, their behaviour and attitudes. And the issues surrounding such problems are far more complex than have been argued in recent years. So said Philippa Robinson at the British Small Animals Veterinary Association’s recent congress, adding that ‘finger pointing’ was no longer helpful and blame counter-productive. She suggested a new approach to combat health problems in pedigree dogs, and said the demand for and supply of them needed to be understood for things to change. All the agencies and stakeholders involved needed to work together to clarify what health and welfare messages were needed, she said. Mrs Robinson discussed the controversies surrounding inherited disease and how she joined the ‘Pedigree Dogs Exposed campaign’ in 2007, a year before the documentary was broadcast. Mrs Robinson of the Karlton Index, which was launched to monitor and measure canine health, spoke of the three reports on pedigree dog which followed PDE, health including the Bateson enquiry, and the setting up of the Dog Advisory Council. After the Bateson report, she said, she began examining ‘how inert the Kennel Club had been on dog health’. The KC had launched many initiatives regarding health and welfare including collaborative work with other parties, she said. Why had not other agencies taken a stand on canine health, she asked. And if they did speak out what had been the consequence? At that point, she said, she decided that canine health problems had not been caused by one stakeholder. To those present she recommended a ‘systems thinking’ approach, and looked at supply and demand of dogs and puppies, the fact they could be obtained from many different sources by people with different motives, levels of commitment and sense of duty. She talked about breed type rather than breed, and said she believed England was not a nation of dog lovers but one of dog breed lovers. She discussed the shape of the Bull Terrier’s skull, saying the breed Standard had not driven the change in shape or which dogs were awarded in the show ring. “Those factors may contribute to the changes of shape, undoubtedly, but the real influence I would argue is simply human preference,” she said. The KC could change the breed Standard to reflect the top shape of skull, she went on, and judges could begin to only award dogs with the top shape, but that would not stop people choosing the dog with the skull shape they preferred, even if it was detrimental to health. Mrs Robinson turned to brachycephalic breeds such as the French Bulldog saying that publicity about the breed’s health problems had had no effect on the explosion in its popularity, which was fed and encouraged by celebrity owners. So how can health and welfare of the breed counter this cultural phenomenon, she asked. “Review the breed Standards? 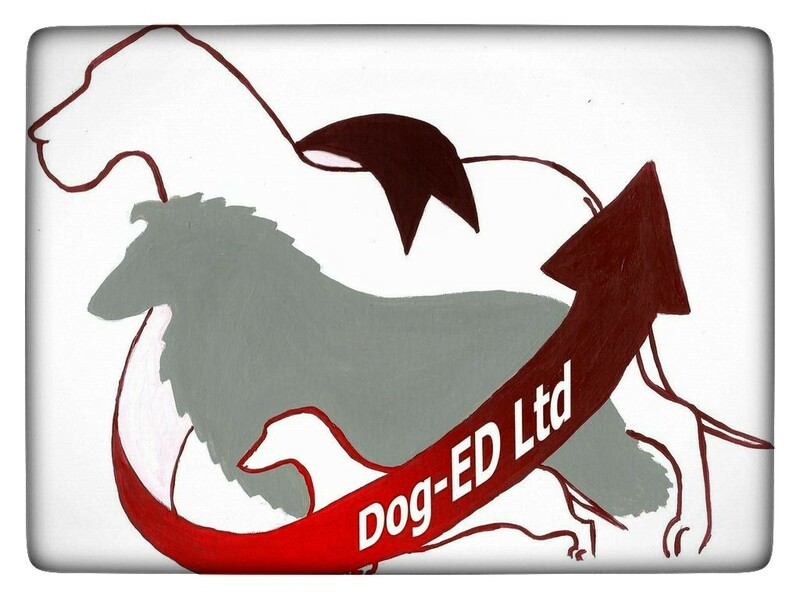 Introduce judicious health testing Remove untested dogs and affected dogs from the breeding programme? But the bigger picture needed to be considered, she said, the trends analysed and the points of intervention which would provide maximum leverage identified. Much had been done by the KC to improve the French Bulldog’s health, Mrs Robinson said, but most French Bulldogs were being bred away from that system by people who did not take part in health schemes. How could the cultural phenomenon be changed, she asked. How could mind sets and contexts be changed? It had to be recognised that people make irrational choices because they are motivated by ‘a complex set of drivers’. The veterinary profession, welfare charities, scientists, academia, breeders, local authorities, the KC, welfare campaigners, the Associate Parliamentary Group for Animal Welfare, industry and the public need to work together, she said, to clarify what the health and welfare messages needed to be for each breed and breed type based on evidence and good data. The dynamics of the system which supplies dogs and puppies needed to be understood, as did the human behaviour which determined dog buying and acquiring decisions. Key messages needed to be delivered consistently across the board and by all parts of the system. “Finger pointing is no longer helpful and blame is counterproductive,” Mrs Robinson said. “Meaningful dialogue and courageous and creative action are the things we should be working on jointly. The PDSA’s 2013 Animal Wellbeing report collected data from over 17,000 owners, vets and children – and discovered that awareness of how to care for our nation’s pets is still worryingly low. Only 17% of pet owners look at body shape and weight before deciding how much to feed. 85% of vets and vet nurses believe that the majority of owners have no understanding of what a healthy body shape looks like for their pet. 2% of dogs showed aggression towards people. 5% of dogs showed aggression towards other pets. The proportion of dog owners who leave their pet alone in the house for five hours or more during a weekday has increased significantly from 18% in 2011 to 25% now. There is an increase in the proportion of dog owners who have not registered their pet with a vet, believing they don’t feel there is a need to since they can ‘just turn up’ (48%, up from 35% in 2011). 38% of owners are familiar with the Animal Welfare Act and the five welfare needs contained within it, a decrease from 45% in 2011. Over a quarter (26%) of owners do no research at all before taking on a pet, an increase from 24% in 2011. Rate your skills as an owner, find out more about your furry friend’s health and happiness and discover how we can all make a better life for pets.